Pliable neoprene blend retains heat and promotes circulation. Relieves pain and discomfort while maintaining flexibility. Hook-and-loop closures make this wrap easy to put on and take off. 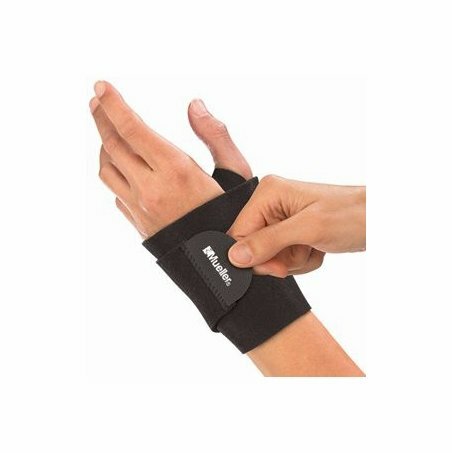 Can be used for either right or left wrist. One size fits most (for wrists between 6" and 12"). 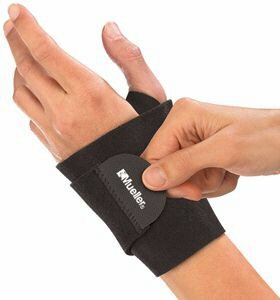 does this support come in any color other than black? Mueller only makes it in black. Hi I have a drop hand this item will help drop hand to normal position? It is not made for that but is a very versatile brace. We believe it may help with this problem. If not, it is returnable per our return policy.